Mark's Tickets is the best place to find tickets for Rodgers and Hammerstein's Cinderella fans. Just check this page for any new events or schedule updates throughout the year. We sell tickets to every Rodgers and Hammerstein's Cinderella show around the world. We know how passionate Rodgers and Hammerstein's Cinderella fans can be about broadway, so we make sure to have hundreds of tickets for every event available right up until showtime. For those looking for cheap Rodgers and Hammerstein's Cinderella tickets, we offer tickets starting at very low prices (many times below face value). We offer tickets in most sections of every venue that Rodgers and Hammerstein's Cinderella performs. Simply choose the city or venue that you are interested in below, and you will be able to see all of the available seats. Do not forget that Marks Tickets also specializes in sold out Rodgers and Hammerstein's Cinderella tickets. 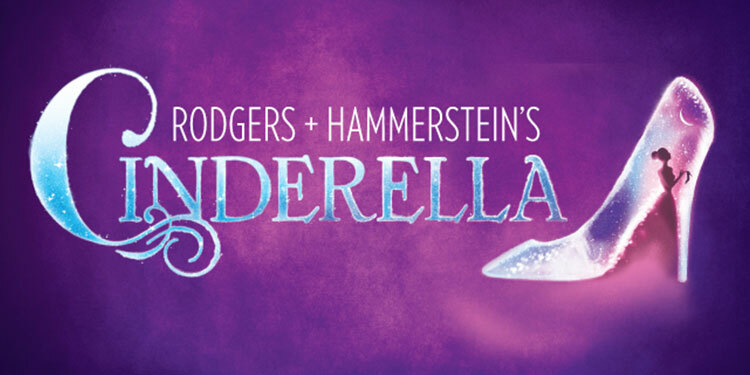 No longer will sold out shows prevent you from seeing Rodgers and Hammerstein's Cinderella. Rodgers and Hammerstein's Cinderella is a musical written for television, with music by Richard Rodgers and a book and lyrics by Oscar Hammerstein II. It is based upon the fairy tale Cinderella, particularly the French version Cendrillon, ou la Petite Pantoufle de Vair, by Charles Perrault. The story concerns a young woman forced into a life of servitude by her cruel stepmother and self-centered stepsisters, who dreams of a better life. With the help of her Fairy Godmother, Cinderella is transformed into a Princess and finds her Prince.Cinderella is the only Rodgers and Hammerstein musical written for television. It was originally broadcast live on CBS on March 31, 1957 as a vehicle for Julie Andrews, who played the title role. The broadcast was viewed by more than 100 million people. It was subsequently remade for television twice, in 1965 and 1997. The 1965 version starred Lesley Ann Warren, and the 1997 one starred Brandy Norwood in the title role. Both remakes add songs from other Richard Rodgers musicals.The musical has also been adapted for the stage in a number of versions, including a London West End pantomime adaptation, a New York City Opera production that follows the original television version closely and several touring productions. A 2013 adaptation starring Laura Osnes and Santino Fontana, with a new book by Douglas Carter Beane, opened in 2013 on Broadway.